If you are the owner and creator of a small business online (or really any kind of business, of any size), one thing is for sure – you can’t afford to make an uninformed decision about hosting. I’ve been involved in internet entrepreneurship for a while, and as I built my business, I eventually realized after a painful period of trial and error, that I needed to actually research the answer to the question: what is the best website hosting for a small business? This is what my research has led me to. The best options in each category are listed at the end. The first thing that you NEED to understand when researching a hosting service is why your choice matters. In other words, the ability of a website or webstore to run smoothly and efficiently, with no down time or lagging, is 100% essential to your sales. It’s the difference between making money… or not. So why are online business owners only spending $1 on conversions, for every $92 they’re spending just on getting traffic. You can have all the click-throughs in the world, but if none of them are converting to customers, what good is it? 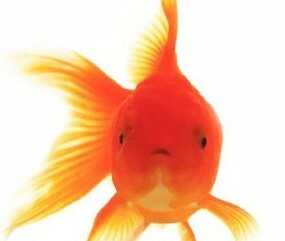 It may be unfortunate, but the average human attention span is now measured to be shorter than that of a goldfish. That’s a whole problem in of itself, but ultimately it leaves you with just 8 seconds or less to convince a website visitor that you and your business are worth their time. Not all hosting services are created equal. The best hosting service for you will completely depend on your business, and what you’re doing with it. But no matter what, a speedy and smooth-running website is not a secondary concern. So what are your options? Let’s break it down. That graphic above ties in with the old adage “you get what you pay for”. This idea usually applies with picking a hosting service for your website. But there are several different kinds of options to suit different needs. I’ll break down how these work! What you need will depend on the kind of business you are running. There is rarely such a thing as free. Especially when you’re looking for something of decent quality. There are, however, some free web hosting services in existence. When you are just starting out online and looking to initially build your small business website, you can use a service like Word Press (the most popular), Weebly, SiteRubix, Square Space or Wix, which are all excellent resources to initially build your website and design it. 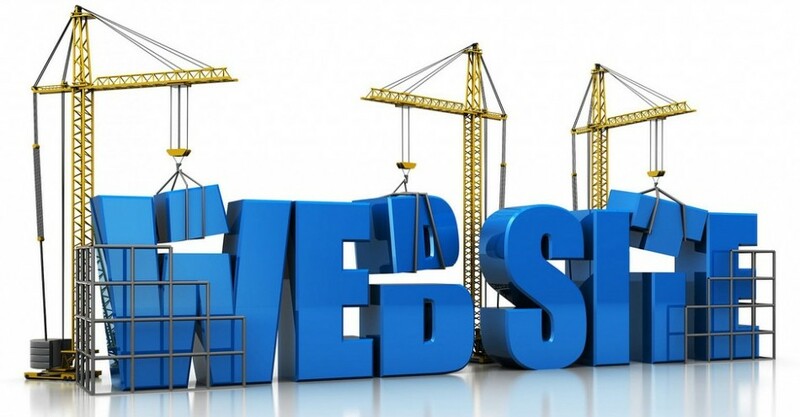 They require that you have their name in your domain name, something like www.yourwebsite.weebly.com, and usually require you also have their ads on your site. While the idea of free hosting is appealing, it is absolutely NOT sufficient for running any kind of business that will generate decent income. Again, these are excellent sources to initially build a professional looking website for your business! But long term it is only ideal for casual bloggers, looking to just write opinion posts or fun articles. Shared hosting is the cheapest option to start an active business with. This doesn’t mean that it’s bad, at least not for beginners, but look into the details. A shared hosting platform, on average, will run you less than $5/month. Essentially, you share space with (in general) up to 5,000 other websites that are all pulling from the same pool of resources. The upside is that you are able to develop your website in its early stages on a VERY shoe-string budget. There are several good shared hosting sources that I will mention below which are sufficient to run your small business as it first yawns, stretches, and spreads its wings. As your business expands you may find extreme flaws within the shared hosting system. It’s like living in a VERY overcrowded apartment, where everyone is fed on rations, and if one is more gluttonous than the rest, rations are… let’s just say… a little scarce. When you are starting out, and have a very small business, the best among the shared hosting companies are viable options. But REMEMBER that as you gain more traction, traffic, and sales, your website’s functionality is in dire straits in a shared hosting platform. $3.99/month has its advantages to be sure, but headaches, damaged reputation, and loss of customers is not worth penny pinching. The virtual private server is the next level up from a shared server. These hosting options tend to cost a bit more (starting at around $10-$25/month), but they afford your WordPress site, blog or webstore a more effective option. 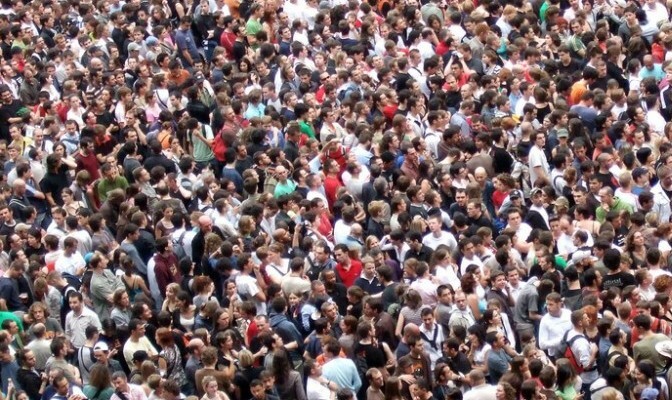 You still share space with a group of other websites, BUT rather than a group of 5,000, it’s more like 20. That gives you a lot more room to build out your site and drive some traffic, right? Consider this a much greater alternative to a shared hosting network. I personally skipped using shared hosting within a week of starting my online business, and invested in a VPS system. By far, the greatest and most powerful option for hosting your webstore or “small” business is through a managed hosting format. The lightning speed, security, and self-running efficiency of managed hosting can power a business well into its multi-million dollar heights. These often handle hundreds of thousands of website visitors, all without missing a beat, slowing down, or dropping. Managed WordPress hosting is specialized for WordPress sites. It’s designed to run almost all tech for your business autonomously. This means it constantly updates, provides backups for your content daily, includes anti-hacker security measures to rival Fort Knox, and keeps your website running at top speed, regardless of traffic levels. Managed hosting also has immediate, usually 24/7 support, and access to specialists. This is definitively the ideal hosting for an established online business. A successful business owner seeking to scale their business and profits can hardly afford NOT to utilize managed hosting. Many hot products and new e-commerce brands crash and burn just as they’re taking off because their hosting service was not equipped for scaling. But managed hosting is not suitable for everyone. So What Are The Best Web Hosting Options? My experience with free web hosting is pretty limited. 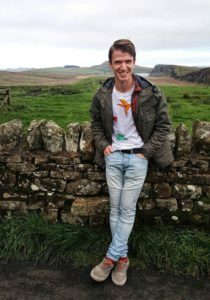 I knew from the start that I planned on building a sustainable business, and it was quite a while before I really had time for a hobby blog. But as I’ve had the chance to experience various blogs and business formats, I’ve found that WordPress and Wix are two of the best places to start out with a free site setup. You can check out my own hobby blog HERE to see what a basic WordPress site can look like in mere minutes. 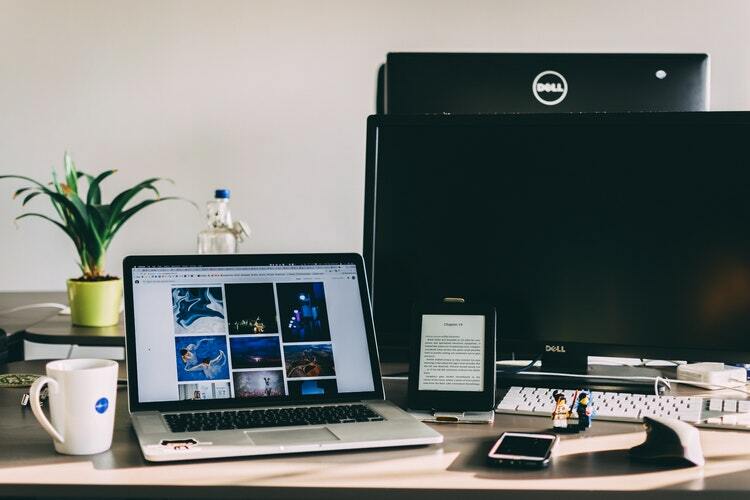 Once you have actually established a business, and not just a hobbie blog or a landing page for your local business, a VPS hosting option is necessary. This is one of the most reputable hosting sources for a small business. The WordPress hosting Business Plan is only $5.98, and the VPS plan (far better and faster than the shared plans) starts at only $19.95, which are good prices for the value. HostGator is easy to use, cheap, has diligently responsive support, AND you get a 45-day money back guarantee. The bandwidth is unmetered, meaning that you will never be charged extra for an overage on the resources. Keep in mind, however, that if your business is already experiencing a lot of traffic and sales, HostGator is not the best option for scaling into bigger territory, as you still have limited allotments of bandwidth for basic plans, and there are better companies for more advanced plans. Before you sign up for HostGator MAKE SURE to skim through this post on Ebates, and sign up for it. It’s a free coupon service that will give you up to $30 BACK on your HostGator sign up, and another $10 just for using their website. It’s literally free money on your hosting!! Making pretty websites is not the only strong-suit of Wix. When you’re starting to gain traction with an E-commerce business with a Wix built site, you will find a solid array of options among the Wix premium plans. It not only allows you a fast and effective hosting platform, but an array of tools to advance your E-commerce business. Not only can you easily accept online payments, among other business operations, but the more advanced plans will allow you “ShoutOuts”, a boosted email marketing feature. If you’ve had experience with sales, as I did selling insurance, you know that follow up through things like email marketing are where you land big-ticket sales. But for the best hosting and e-commerce solutions, you need to look to the managed resources below. 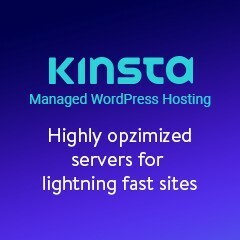 Without a doubt the best and most effective hosting platform available for managed hosting is a young company called Kinsta. It’s second to none for scaling a business. If your online business, whether it’s an affiliate marketing blog, a webstore, e-commerce business, or anything else grounded in a WordPress base is ascending towards profits of 6-figures or more, Kinsta is a state-of-the-art force of technology that you can’t top. If you are running a lucrative online business, and want the peace of mind that your tech is running autonomously, consistently, and powerfully, you can find no better than Kinsta. If you’re in the physical products business, or have ever even considered developing a webstore, then it’s likely that you’ve at least heard of Shopify. It is not only the most comprehensive and valuable investment you can make for your dropshipping business, but also happens to be an excellent source of managed hosting as well! For an in-depth review of Shopify have a look HERE! If you are in the E-commerce sector specifically then Shopify hosting is perfect. Shopify plans start at $29/month, start with a free 14-day trial, and unlimited bandwidth hosting comes with it! In other words, you are able to buy a subscription for a service, at an affordable rate, that can not only develop an amazing webstore for you, process payments of almost every kind, boost your SEO, and run almost all of the technical details of a webstore on autopilot, but it also gives you one of the most powerful and reliable hosting platforms available. It even gives Kinsta a run for its money, and given that it’s less costly, and comes with an endless array of tools and options, it’s nearly immaculate for E-commerce and dropshipping entrepreneurs specifically. My experience with Shopify has been one of the best I’ve ever had. My experience with Wealthy Affiliate has been one of my most positive on the internet. I started off in affiliate marketing, and while it may not be the equivalent of Kinsta, Wealthy Affiliate hosting is one of the strongest assets of the program. If you aren’t familiar with it, Wealthy Affiliate is a program that educates new entrepreneurs on how to create lucrative blogs, through affiliate marketing. You can read a more in-depth review HERE. It is not as fast, or as powerful as Kinsta, but it is a secure and effective choice for hosting, and has been my host from the very earliest stages of running a blog/business. As with any managed hosting, it saves you immense effort and time by managing the hosting and tech FOR you. Like Shopify, Wealthy Affiliate provides a whole host of valuable tools in ADDITION to hosting up to 50 domains. All of this can be obtained for a monthly cost of $49/month, or less than $360 per year. 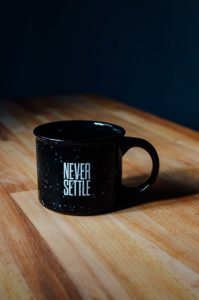 Essentially, these are the 3 best hosting resources for a profitable and active online business: Kinsta, Shopify, and Wealthy Affiliate. For a younger business, I would recommend HostGator, or if you have a Wix website a Premium plan through Wix. There are hundreds of options out there for hosting, but make sure that you are investing wisely. Cutting corners will be felt by your (potential) customers, so investing carefully in a host that is going to handle your business, and work well, is absolutely essential. There is no better opportunity to build a business, or even to build wealth, than through internet businesses. This is more true than ever. But do your homework! And for the love of your business… get a good host! Your customers and your income will both thank you. I hosted with another provider about a year ago. I wasn’t aware of SSL certificates until Google issued their warning. I had to purchase an SSL certificate from a 3rd party provider and pay my hosting company to install it for me. HostGater looks like a viable solution for when my hosting comes up for renewal. Does the basic HostGater package come with SSL? And if not will I have to pay them a fee to install it for me? What kind of host are you using, and what are you using it for? HostGator you will likely find to be similar to the one you are in now. The basic 1 dollar/month plans have no options for SSL at all, for the Basic and Business plans you can order the certificate through HostGator for an additional cost, and have HostGator install it. The additional costs for this are $31.99/year for the “https” that will be sufficient for Google rankings on a blog, or a $256/year option for an advanced e-commerce business. To get SSL included automatically a more advanced company would be best. Wealthy Affiliate, Kinsta and Shopify are prime examples of this. Otherwise there will always be added costs and upsells. I like managed plans just for the piece of mind. 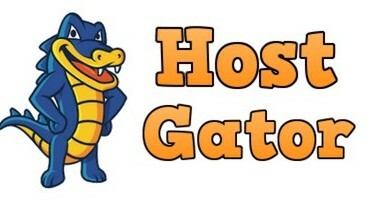 HostGator is valuable, and largely easy to work with, but It’s not as comprehensive as more expensive plans. Thank you so much for your review of the small business and how to find a good place to host! What else do you recommend for getting good startup businesses as I would like to take some alternative routes to find many ways to be successful. Thanks for all your articles and your feedback. Hey Ryan, thanks for your encouragement! I appreciate your ambition. I’ve created a number of other posts about alternative routes for building business and making money (online AND offline), like this How Can You Retire Early? and this Shopify in Review. Shopify is an e-commerce platform, which I mentioned. So if you’re thinking about also starting up a physical products business, it’s a perfect fit. You can be extremely successful selling physical products. Other alternatives include (if you don’t mind face-to-face sales) getting licensed as an independent insurance agent. With the right strategies you can add a lot of income to your regular salary, or money you make from affiliate marketing. I have not heard of Kinsta but I have heard of shopify and I am looking forward to trying it, and yes right now I am using Wealth Affiliate. Shopify is great! At least if your need is related to starting a physical products business, though it also has a blog feature built into it. Wealthy Affiliate is also great, Cinderella! It’s a little bit complicated – WordPress and Wix are mainly website builders. And you can build websites with them for free. Both WordPress and Wix offer you different upgrade or premium options that will also allow hosting, and Wix will even offer you e-commerce plans similar to Shopify. Siterubix is a part of Wealthy Affiliate, that integrates with WordPress. So it’s kind of a combination, and it makes your WordPress building a lot easier because it does a lot of it FOR you. But Siterubix is ALSO the hosting platform that Wealthy Affiliate uses. Like WordPress and Wix the website building is free, but you have to pay for premium to use it as hosting. But Siterubix is definitely excellent hosting! It’s not 100% managed, so you still need to keep an eye on it (for example, I recently had an issue with a chain of redirects that were slowing down my site really bad), but it’s a good service. Most people at the start to go for cheap, who do not buy cheap goods. we are all guilty of it. But here is purely business. At the start we are not sure of what is right, so all come down to being smart. Taking calculated risk about how each price point can affect your overall business performance. it comes down to what you can afford. There is also one important factor in support, backup, spam protection. The encrypted website the HTTPS protocol is being the norm now, so stick to it. In business, you cannot afford to lose even if your website is down you know there is a way to bring that online by choosing a reputable website hosting provider. You’re absolutely right, the affordability of a host always has to be measured against what you’re trying to accomplish with your business. Business expenses always come with a lot of difficult decision making. 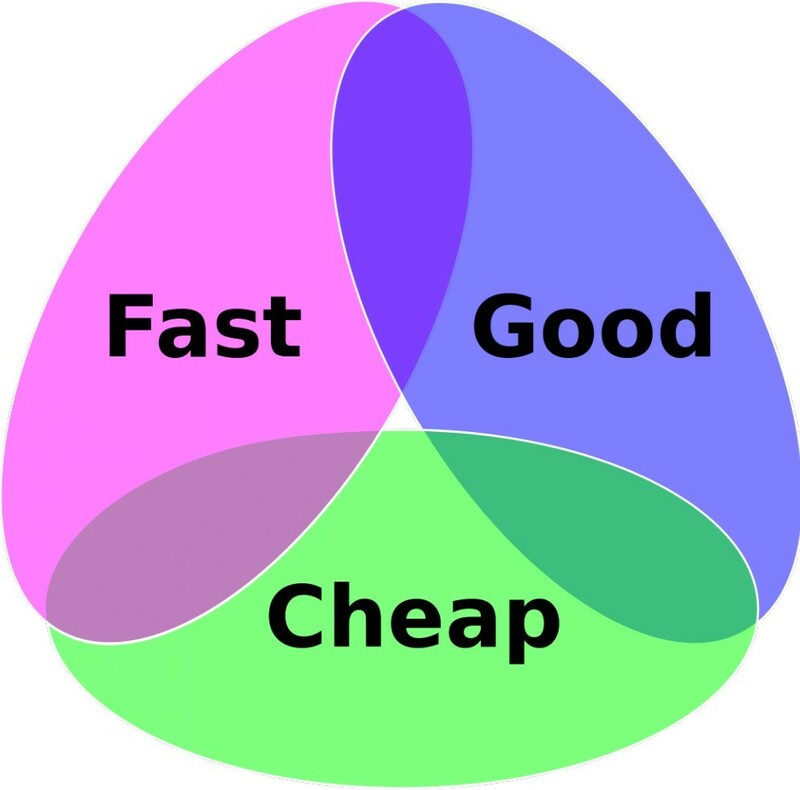 Sometimes going for the cheapest option is ok, but other times it will really hinder your success. When it comes to an online business, website hosting is one of the most crucial investments you’ll make. It will have a huge effect on conversions and overall success. Thank for providing so much information about hosting platforms. Distilling all the information down to the three best hosting resourses was also very useful to a relatively new comer in the online / affiliate marketing world. It certainly helps to have platforms that combine services making it easier to operate a business without being involved in technical considerations such as SSL certificates. I’ve had a site with WA for four months and had no need to give it a thought. Thanks for this info. Thanks for commenting Brad! And I’m glad you found it helpful. Narrowing down the best service for you and your business can be difficult, so it’s definitely important to see which hosting companies will line up with your particular need. Wealthy Affiliate provides one of the best choices for a blog host. It saves an incredible amount of time and effort that you won’t have to worry about things like purchasing an extra SSL certificate to make your site secure. I’m glad you’ve found it and that it’s working well for you! Congratulations and thank you for a very comprehensive and informative review of a range of ways to build an online business. I am not sure what a young retiree is. I am 70 and consider that young but not ready to retire. The wealth of research in your site is extraordinary and has just shown me how little I know and how much more there is to learn. I have learnt that making money online is not easy, it requires knowledge, persistence, time and effort. You have given a really good list of options and I plan to take a look at Kinsta. as that is totally new to me. Wealthy Affiliate comes across as the best value for money invested as you can host so many sites without further cost. Hi Judy, thanks for commenting and I’m glad you found the content helpful! I’m excited that your pursuing income online, and that you have a good understanding of the endurance and drive that it requires. Keep learning, and I’m sure that you’ll do very well! 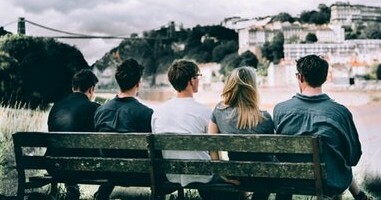 The Young Retiree name really refers to ways that we can start to diversify our income, and work towards financial (and all other kinds) of freedom in our lives. I work primarily with people looking to retire, because I am a licensed insurance agent, and I help people with things like Medicare, life insurance, and retirement planning. I’ve often been saddened by how often people find themselves tired, forced to work far later in life than they had ever hoped, and completely unprepared financially to retire as “young” (whatever age they want) as they had hoped. The retirement idea is not so much about stopping work. But about gaining more freedom and control of one’s time :). Hi JMeola; I have read through your post and I found it very informative. The types of web hosting that you thought on is important specially for aspiring website owners. I often look at Host Gator and Wix before I decide on a online business. I never heard of Kinsta before. However, I am comfortable with Wealthy Affiliate. Do you consider any of the above mentioned host, more efficient than Wealthy Affiliate? Hello and welcome DorcasW! Thanks for commenting! HostGator and Wix are more decent options, at least for smaller businesses, but if you’re already with Wealthy Affiliate you already have a far better serving host anyway, especially for affiliate marketing. WA is a great resource. Kinsta is far more powerful and efficient, but this only matters when you have a massive amount of traffic and sales. This is a very detailed comparison of hosting services. I had never considered how a hosting service can affect the ability of your website to keep visitors’ attention. Keeping their attention is important for online business success. Offering the three best here saves us time and mistakes. Its good to know WA hosting is in your top recommendations. Hey Delois, I’m glad you found it helpful! Yes, a good hosting service is one of the most crucial parts of building a reliable business. It’s a better experience for your customers (or readers if you’re blogging), and it will result in more conversions. Wealthy Affiliate is one of the best, at least for an affiliate marketing blog. It should be able to sustain your business through a lot of growth and success! Very interesting page as it is very beneficial for me and for a lot of other people that are looking to host a website and also it is very important for anyone looking to host a website to make sure they can host it in the best way! Keep up the good work and stay consistent! Hey Olly, I’m glad you found it helpful! And thanks so much for your encouragement! The host is definitely important. Check out this post to also read about the importance of branding! It’s another one of the essentials :). Nice stuff and thank you so much for sharing such a useful content here with us. This will definitely help out many people in choosing right web hosting services for their small business. Thanks for the useful content. Thanks my friend! I’m glad you found it helpful!